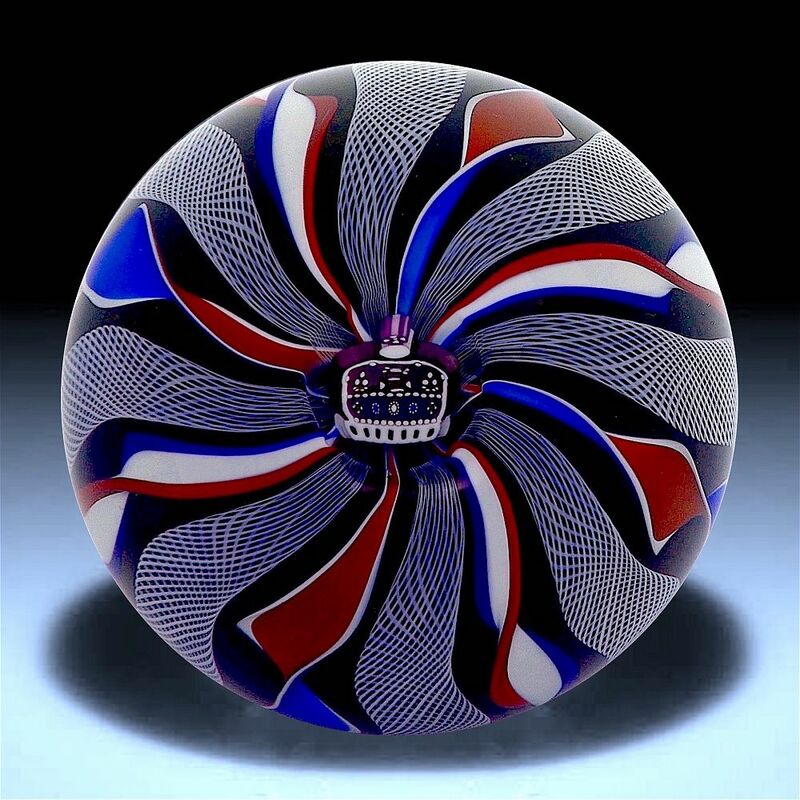 This very unusual paperweight was made by Michael Hunter for Twists Glass in 2013. Known as "Queens Crown" and with a dark blue centre it has a centre crown cane from which emanate twisted ribbons of white zanfirico cane and terracotta blue & white twisted cane. The base is scratch signed "M Hunter Twists 13 Prototype" with Mike's personal "MH" silhouette cane in the centre and a Twists Glass studio label.